I have a new favourite place to hang out on my days off. I normally venture out in the afternoon but as I was off one particular weekend I decided to go out later in the day to enjoy the evening’s shenanigans on Soi 11. 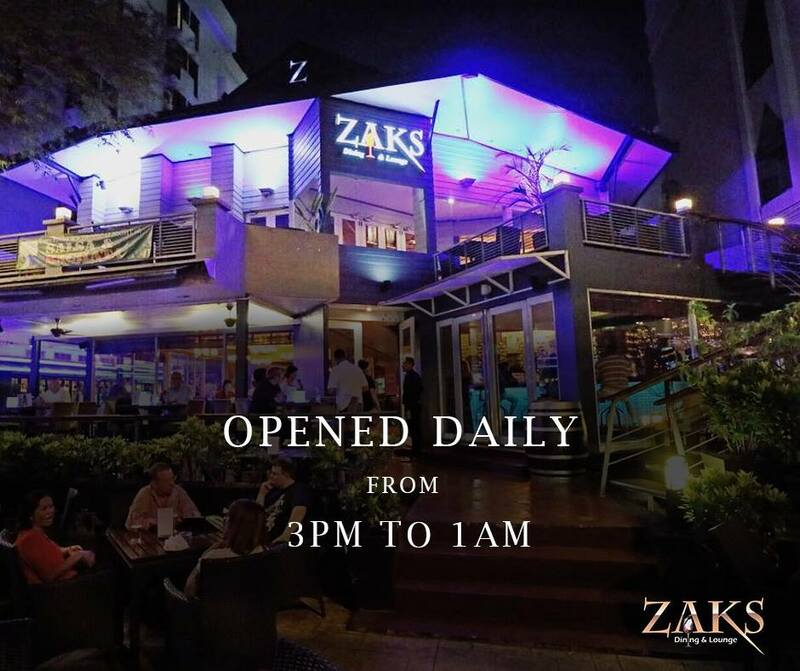 My destination; Zaks Dining and Lounge. I have been there before with my work colleagues, and as I sat there eating my pizza and drinking my wine; creature of habit, me, same food and drink, just a different location, the waitress came over and we started chatting. She told me she recognised me from the time before. How’s that for making your customers feel special? It won me over! Rose is her name and it’s not just her that is particularly friendly, all the staff at Zaks are the same. They always seem to be so happy as they go about their business. I sat and watched one guy who, on seeing some customers looking at the menu and deciding whether to come in, greeted them enthusiastically with a huge smile. Sure enough a few minutes later they came back and he welcomed them in. The food is delicious. All of it. There is Thai food on the menu but the western fare is amazing. 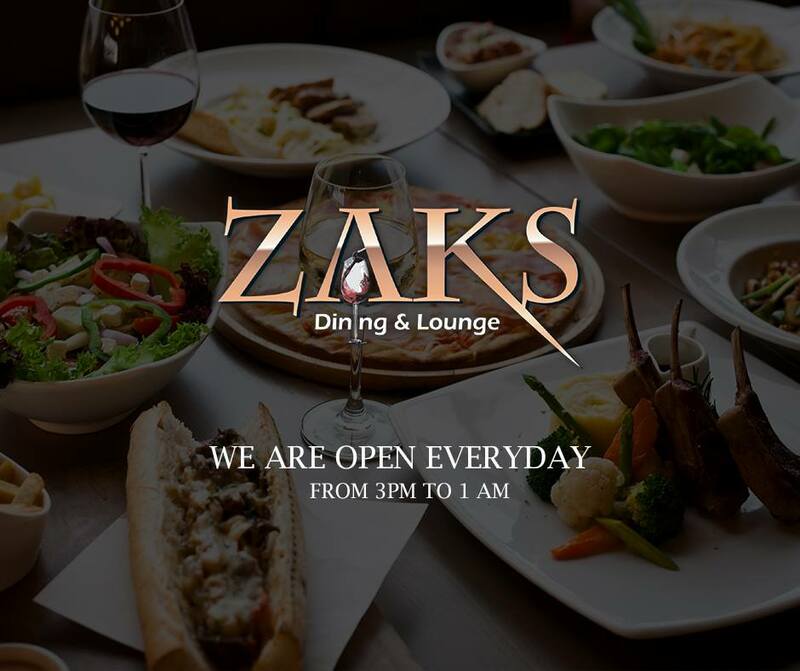 Pizzas, burgers, tapas and more. I have never had a bad meal there. There is a daily happy hour which starts at 3pm and finishes at 8.00pm so more of a happy few hours. You get discounted drinks and two for one tapas specials so you can’t really go wrong. I like dining alone. I usually amuse myself with writing, reading my book, or just plain-old people watching. I find it fascinating; the way people interact with each other. I wasn’t the only one alone that night. I watched a guy contentedly munching on his food, while drinking his happy-hour wine and reading something on his laptop. Not a care in the world. It seems many people like to do the same, whether they are solo travellers or people like me and that guy who like to get out of the confines of our homes, just to have a change of location and do whatever pleases us. I think everyone should try it. Being alone and actually enjoying your own company is very liberating. hi, the menu looks yummy…. is there a dress code to this restaurant ? Sounds like a great place….what a difference the level of friendliness makes with a restaurant…we frequent a local place once a week for happy hour, not just because it convenient, but the staff is great! !